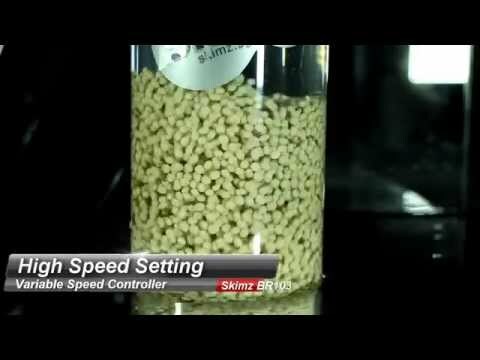 The Skimz BR-153 reactor is recommended for aquariums up to 2,000 liters (around 550 US gallons) BR153 is fitted with DC pump, VSC3000-DC (3,000 l/h), and can hold up to 2,000 ml of media. Fine media sponges included for use with carbon and GFO media. Biopellet Media: up to 2,000 ml.